Skipper Kyle Howarth is gunning for another maximum with Sheffield tonight. Howarth went through the card in the last home meeting but faces a much tougher test when Scunthorpe visit. 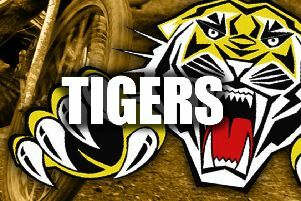 Scorpions have booked Richard Lawson, who loves the Sheffield track, as cover for injured Steve Worrall. But Howarth is fired up a - particularly now the weather has changed for the better! He said: “I wish I’d have had even more meetings by now, but because of all the rain-offs that’s not been possible” Howarth said. “But I can’t complain with the meetings that I have done so far and fingers crossed I can keep it going. Howarth is under no illusion about how tough it will be for his side against a powerhouse Scunthorpe. SHEFFIELD: Kyle Howarth, Todd Kurtz, Charles Wright, Josh Bates R/R, Lasse Bjerre, Jack Smith, James Shanes. SCUNTHORPE: Richard Lawson, Stefan Nielsen, Josh Auty, Jake Allen, Jason Garrity, Danny Phillips, Gino Manzares.